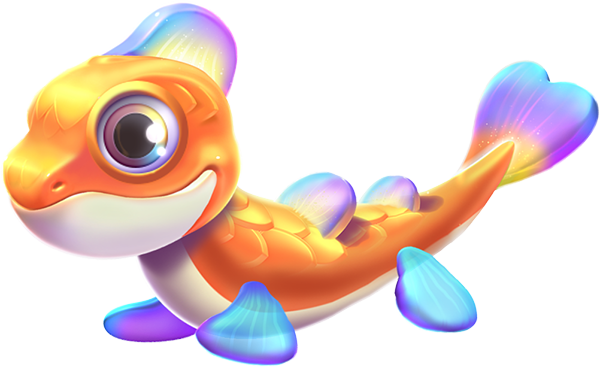 The Lightfish Dragon is the perfect companion for undersea exploration as the glow from its body lights even the darkest of waters. Just keep an eye on it, or you might find it trying to play with jellyfish. The body style of the Lightfish Dragon is reptilian. 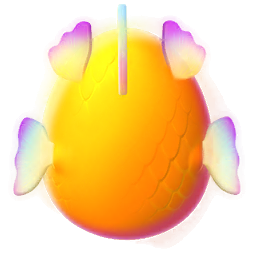 It has an iridescent scaled orange-yellow body with a shiny pearlescent white underbelly. Its eyes are large and shine the multiple colors of purple, yellow, orange, and blue. Two large sharp teeth jut out of its mouth, one from the lower jaw and one from the upper jaw. A pair of iridescent purple-blue fins jut out from the sides of its head while a large fin rises up out of the top of its head. Two thin curved horns that shine yellow, purple, and blue jut out of its head on both sides of the large fin. Two large fins can be seen on its back while its four fins that it uses to move are of a similar appearance. It has a two-finned tail that is purple at the base and is tinted blue at the tips. 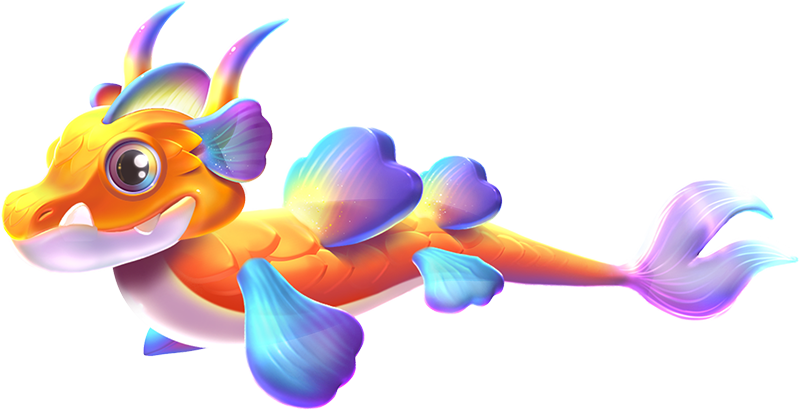 The Lightfish Dragon is a Normally-Breedable Dragon which can be obtained through the breeding of two Dragons having together the Light and Water Elements or through purchasing it from the Main Shop in exchange for 295 Gems. Both methods require the Trainer to have reached Level 35. This page was last edited on 22 October 2018, at 11:50.